Green Long-Sleeve shirt, with "USAO Drovers" in gold across chest. 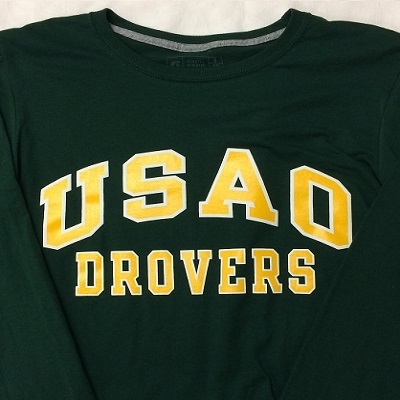 Please select option for Long Sleeve USAO Drovers Shirt. An incredibly soft, long-sleeve swoop-neck t-shirt for women. Features "Drovers" in stylized text, with "USAO" superimposing an arrow along the bottom of the graphic. Available in both frost gray and charcoal. Please select option for Long-Sleeve Women's Crew. Please select option for TEE-USAO BASEBALL. 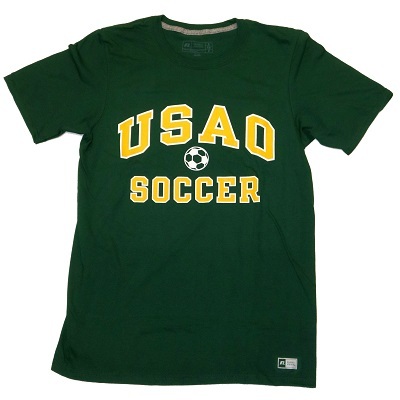 GREEN TEE-USAO-SOCCER BALL WITH IMAGE OF SOCCER BALL BETWEEN USAO AND SOCCER. 60% COTTON AND 40% POLYESTER, BROUGHT TO US BY RUSSELL ATHLETICS. 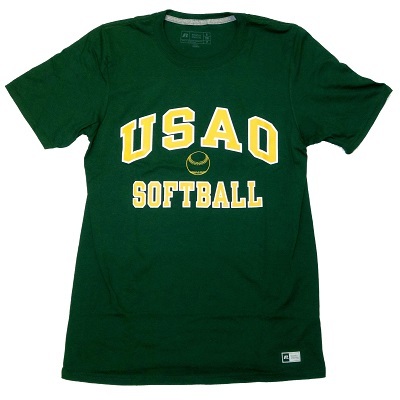 GREEN TEE-USAO-SOFTBALL WITH IMAGE OF SOFTBALL. 60% COTTON, 40% POLYESTER, BROUGHT TO YOU BY RUSSELL ATHLETICS. Please select option for TEE-USAO-SOFTBALL. 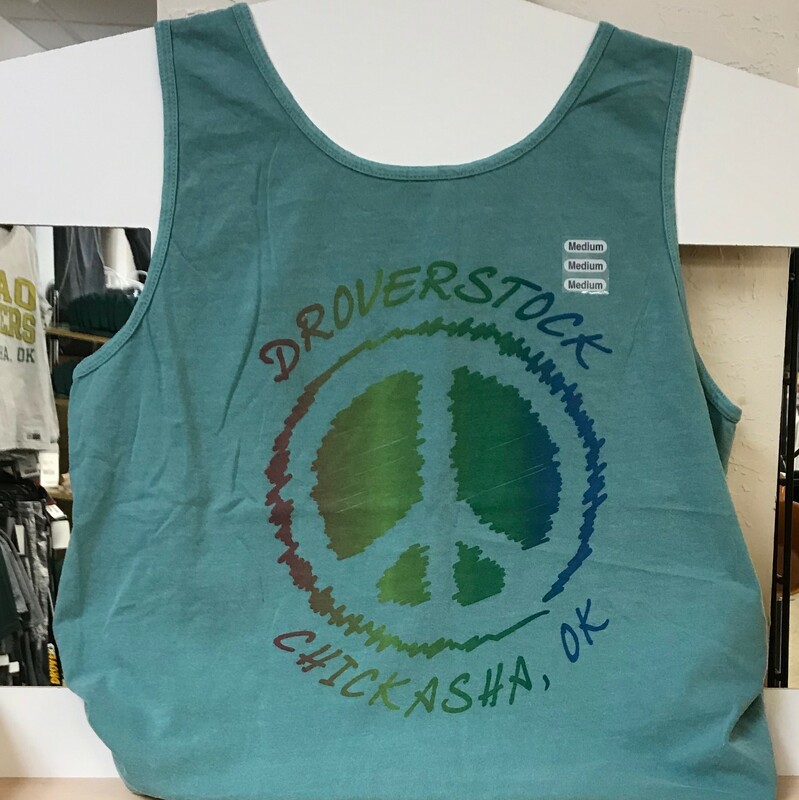 TEE-USAO-WATERCOLOR PRINT DROVERSTOCK WITH A PEACE SIGN. 100% COTTON PROVIDED BY MV SPORTS. Please select option for USAO "Drovers" Henley Shirt. 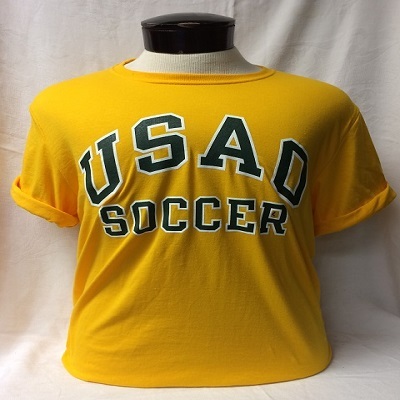 A gold t-shirt, with "USAO Art" across the chest in green text. Please select option for USAO Art T-Shirt. A soft, green cotton/polyester blend shirt, with "USAO Biology" across the shirt in gold and white text. Please select option for USAO Biology T-Shirt. A soft, comfortable cotton/polyester blend shirt, with "USAO Chemistry" across the shirt in gold and white text. Please select option for USAO Chemistry Tee. A comfortable fitting, soft, pre-shrunk 100% cotton shirt, available in an incredible variety of colors: Antique Gold, Pink, Violet, Maroon, Purple, Blue Jean, Sapphire, Blue, Teal, Sky Blue, Seafoam Green, and Black. Please select option for USAO Classic Drover T-Shirt. USAO Dad Tee - "University of Science and Arts of Oklahoma"
A comfortable shirt with "Dad" in large gold and white text, next to a large display of the Drover Logo, above the phrase "University of Science and Arts of Oklahoma". Available in both green and black. Please select option for USAO Dad Tee - "University of Science and Arts of Oklahoma". A soft, comfortable cotton/polyester blend shirt, with "USAO Dad" across the shirt in gold and white text. 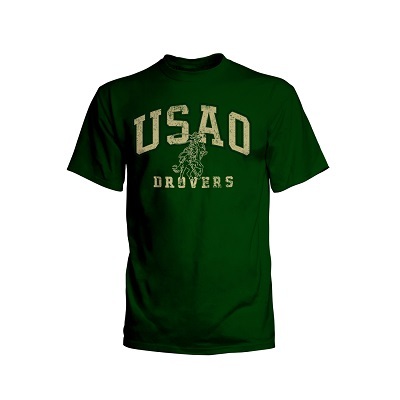 An extremely soft, green, 100% Cotton T-Shirt, with "USAO Drovers" in gold text, superimposed around a gold USAO Drover. 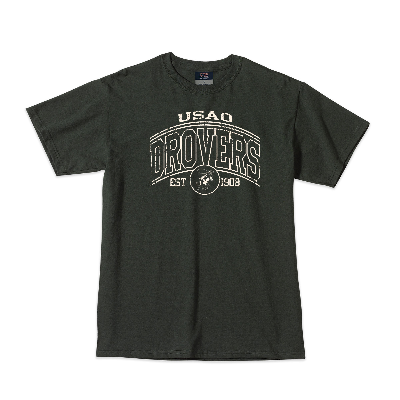 Please select option for USAO Drover Logo T-Shirt. 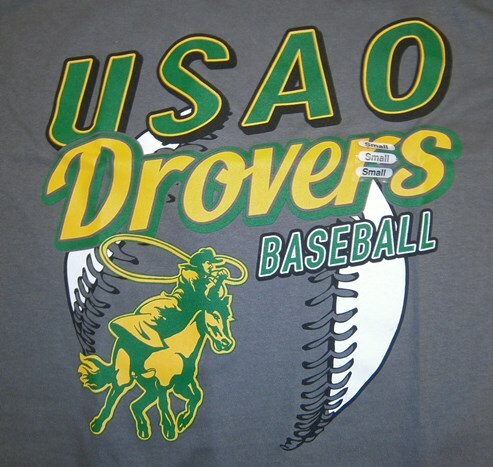 A t-shirt that reads "USAO Drovers Dad, Chickasha, OK", featuring a small USAO Drover Logo. Available in both green and black. Please select option for USAO Drovers Dad T-Shirt. A stylized green 100% cotton shirt, with "USAO Drovers, est. 1908" in white text, surrounding a white emblem of USAO's Drover Mascot. Please select option for USAO Drovers Emblem T-Shirt. A 100% cotton t-shirt, with "USAO Drovers" across the chest in gold flock text. Please select option for USAO Drovers FlockTee. A green, 100% cotton tee, with "Drovers" in bold, striped gold and white font, with "University of Science and Arts of Oklahoma in small gold text underneath "Drovers". Please select option for USAO Drovers Striped Tee. A soft, comfortable cotton/polyester blend shirt, with "USAO Economics" across the shirt in gold and white text. Please select option for USAO Economics T-Shirt. 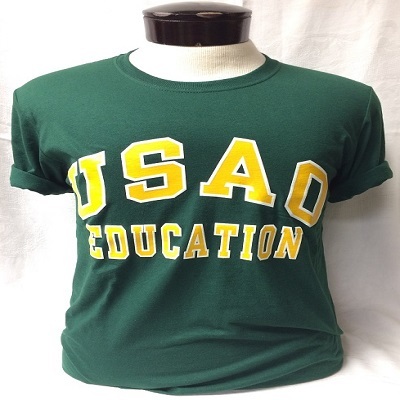 Green T-shirt, with "USAO Education" in gold across chest. Please select option for USAO Education T-Shirt. A green tee, with "USAO" in large, angular gold and white text, above "Drovers", shown in gold. A comfortable shirt of unique design. Please select option for USAO Green Blend T-Shirt. 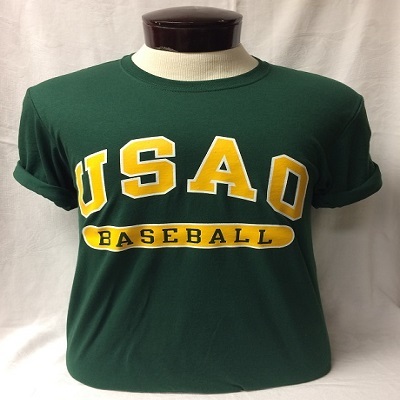 A comfortable, forest green cotton/polyester blend shirt, with "USAO History" across the shirt in gold and white text. Please select option for USAO History T-Shirt. A stylized USAO Mom Tee, with a design including a mason jar filled with fireflies. Available in both blue and green. Please select option for USAO Mom "Firefly" T-Shirt. A comfortable relaxed fit T-Shirt, made of 100% cotton. "USAO Mom" is included in gold above the phrase "Drovers". Text is included within a larger, ornately printed pattern. Available in both purple and green. Please select option for USAO Mom T-Shirt. A gold t-shirt, with "USAO Music" across the chest in green and white text. Please select option for USAO Music Tee - Gold. 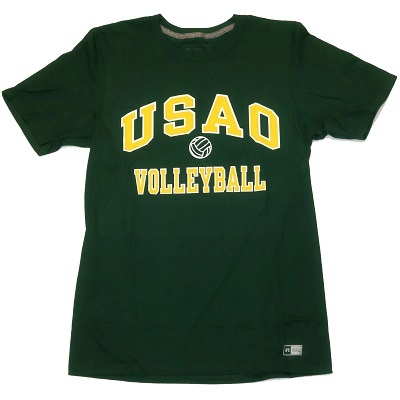 A green t-shirt with "USAO Parent" in gold and white text across the chest. A great gift for any parent! Please select option for USAO Parent T-Shirt. 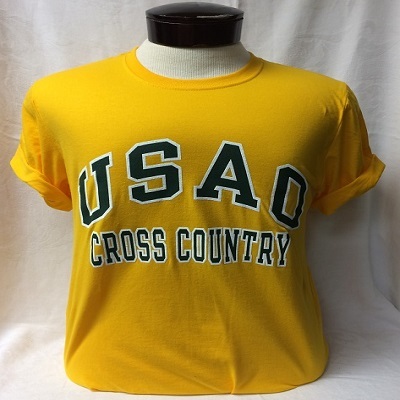 Please select option for USAO Performance Tee. 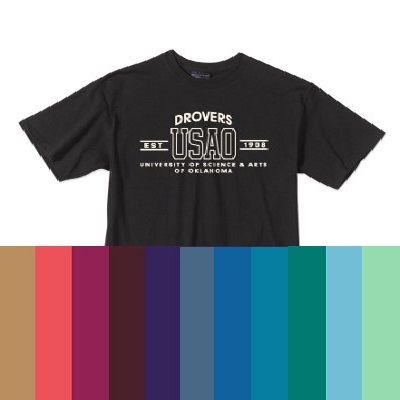 A comfortable, black dry-fit performance shirt; the upper chest displays the text "USAO Drovers" in gold and white text. Please select option for USAO Performance Tee - Black. A loose-fitting, dry-fit performance shirt, with a two-tone design, consisting of white stripes running over the shoulders, to the underside of the shirt, on a green background. The upper chest displays the text "USAO Drovers" in gold and white text. 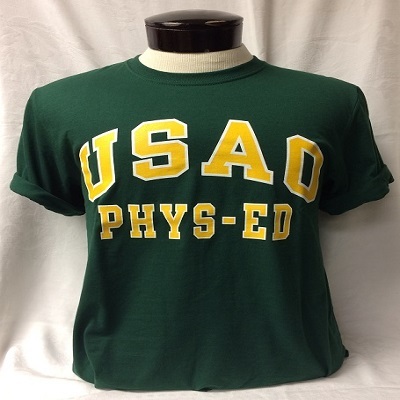 Please select option for USAO Performance Tee - Green. A grey dry-fit performance shirt. The upper chest displays the text "USAO Drovers" in gold and white text. Please select option for USAO Performance Tee - Grey. Long - sleeve, two-tone grey and green t-shirt. "USAO" is across the chest in stressed green text. Please select option for USAO Raglan Long Sleeve Shirt - Green. A dark green t-shirt, with a grey-and-white USAO skyline (including Troutt Hall, Nash Library, and the Alumni Chapel and Bridge) above grey-and-white text; "University of Science & Arts of Oklahoma". Please select option for USAO Skyline Short-Sleeve T-Shirt.